We have lots of fabulous eggs at this time of year with the hens and ducks laying for all they’re worth. 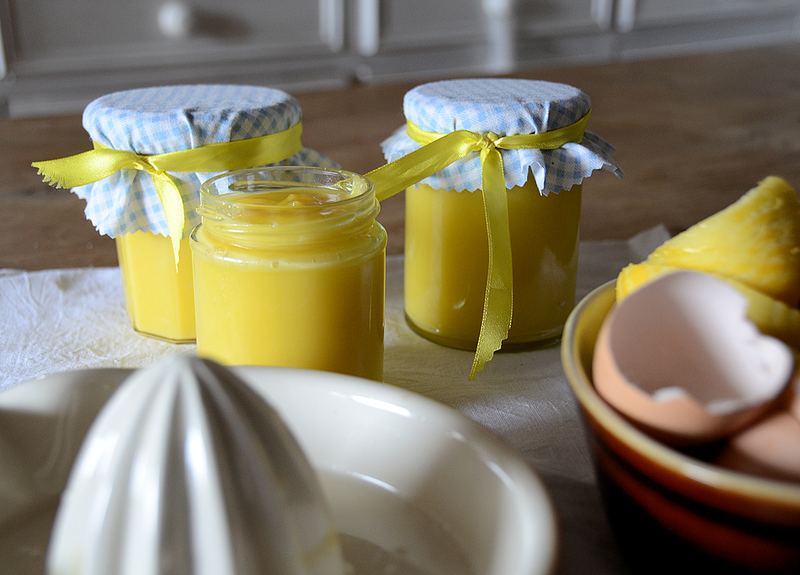 So it’s this time of year that I make lemon curd. It’s the most fantastic yellows orange colour from the egg yolks and there is nothing in the shops to compare with the flavour of this home-made delight! Serve it on hot toast, use it as topping for cakes, put it in tiny tarts, dollop on porridge, the list goes on and on! 2 x 1lb jars with lids, sterilised. The juice and finely grated zest of 3 large lemons, organic of course! Place the juice, zest, butter and sugar in a pan. Heat very gently and stir (don’t rush this) until the butter and sugar have dissolved. Remove the pan from the heat and strain in the beaten egg. Put back on a gentle heat, stirring so the mixture doesn’t catch on the bottom of the pan. Cook gently until the curd coats the back of a wooden spoon, starts to thicken, and sets! Jar up the curd into hot jars and seal with a disc of waxed paper and a tight fitting lid. This will keep for a month refrigerated, although we’ve never been able to test this!